Bansal Sales offer a wide range of Timber and Wood , which are sourced from reliable vendors across the globe. Highly acclaimed by our customers for its optimum quality and durability, we precure teak wood from various parts of the world. 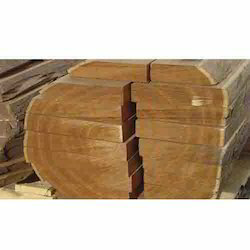 The variety of timber and wood offered by us includes Nagpur Teak, Burma Teak, Imported Teak Wood, Ghana Teak, Ivory Coast Teak, Pine wood, Sal wood, meranti. Bansal sales deals in the wide variety of Teak Wood such as Nagpur teak, Burma teak, ivory teak, Ghana teak. teak is a yellowish brown timber with good grains and texture. It is very resistant to termite attacks. Mature teak fetches a very good price. It is grown extensively by forest departments of different states in forest areas. Teak is used extensively in India to make doors and window frames, furniture and columns and beams in houses. We are leading manufacturer of Chaap Wood and our product is made up of good quality.